I envision a perfect summer day to be a vast field of blooming sunflowers or under the bright blue sky and if I were to redo our wedding on a summer month, I’d have a morning wedding and choose this color combo as our color motif in a heartbeat. 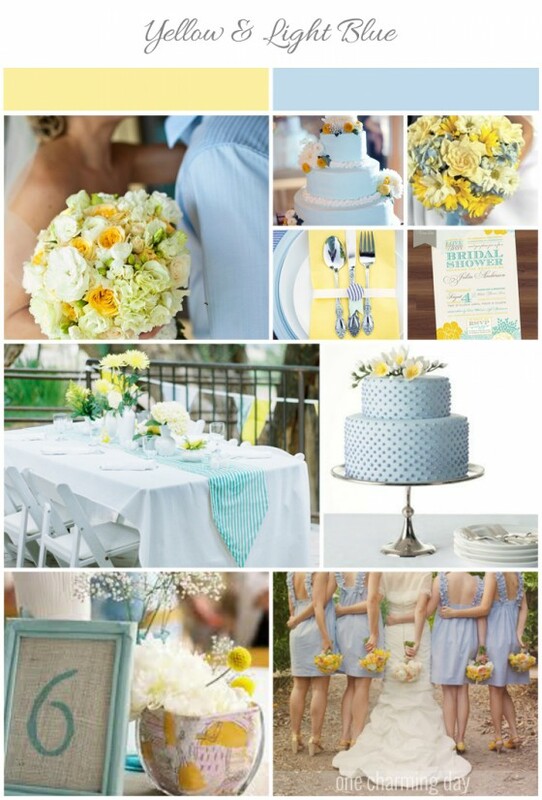 Yellow and light blue just feels so bright, fresh, and fun for me. Blue has always been one of my favorite colors and I think pairing it with yellow instantly adds a cheerful, sunshiny pop to it because yellow is such a happy color! What charms me the most in this inspiration board are the outdoor table-scape, the centerpiece, and the photos of the bridesmaids with the bride. 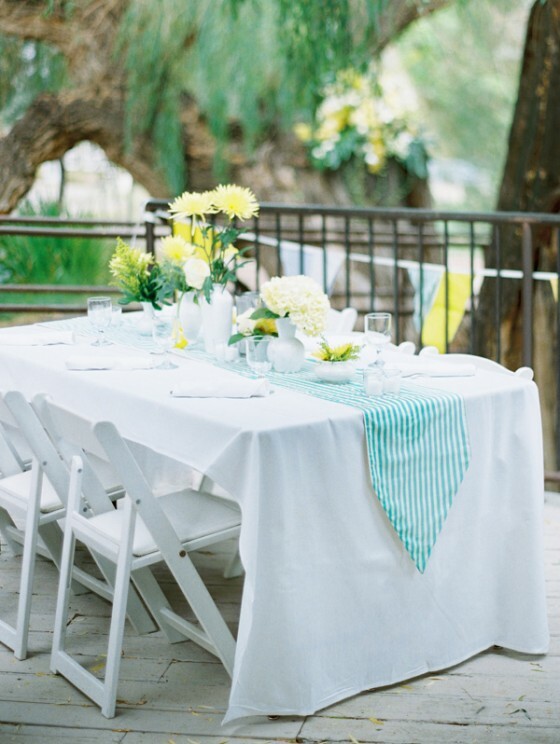 This lovely setup is perfect for a vintage/rustic themed wedding. I’ve known weddings from the Philippines to be more formal and I would love to see more couples have an outdoor wedding reception that is less formal and more intimate and personal with lots of DIYs. I think I have a thing for anything shabby chic, vintage, rustic, and handmade that’s why I find this centerpiece so pretty. 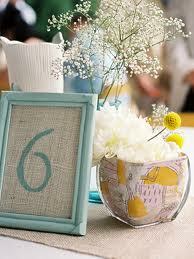 And maybe that is why I also love looking at Etsy and Martha Stewart Weddings where there are lots of craft ideas. I may not know exactly how the dresses look like but I think you’ll agree that this is a beautiful shot of the bride with her bridesmaids. 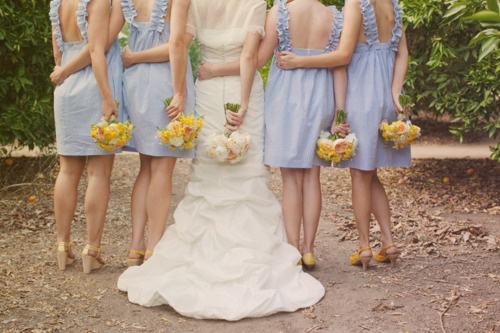 The bridesmaids’ pale blue dresses matched with yellow shoes and a bunch of pretty yellow flowers is just so pretty, don’t you think?